Benchmade knives (Oregon City, Oregon), has built a great brand producing top quality knives over the last 30+ years. Benchmade offers a wide variety of knife styles, made with meticulus attention to detail, Benchmade has become an industry standard. Knife enthusiats know that this is a brand to watch. When only the best will do, a Benchmade knife is the best selection. These are quality tools, for every day use or for collectors. 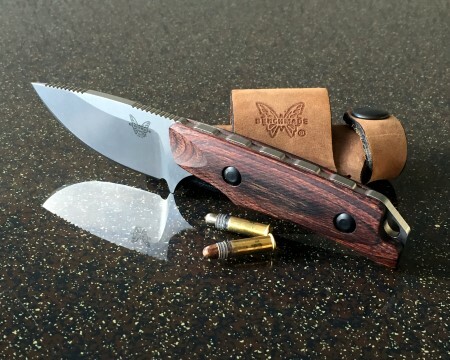 Benchmade 162 Bushcrafter - 4.4 inch blade is made from premium S30V stainless steel, resistant to corrosion, keeps an edge. Contoured green G-10 handles with a red vulcanized spacer comes with a leather sheath. Benchmade Mini Griptilian (& Griptilian) - The blade on the mini version is 2.9 inches and made from 154CM stainless steel. Its handle is a grippy glass-filled nylon material. 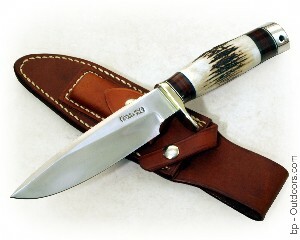 You can also pick up the new model with CPM-20CV steel and G-10 handle scales. 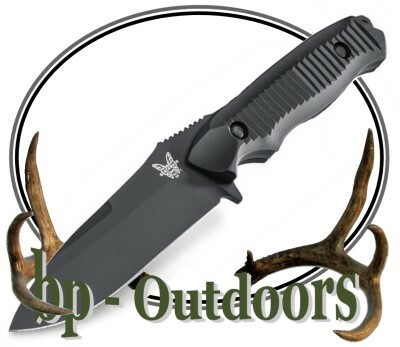 Benchmade 950BK Osborne Rift - Large 3.7-inch blade and an overall length of 8.27 inches and 154CM stainless steel. The reverse tanto blade profile with a deep cutting belly is exceptionally versatile. The BK (black coated version) and satin-finished blade. 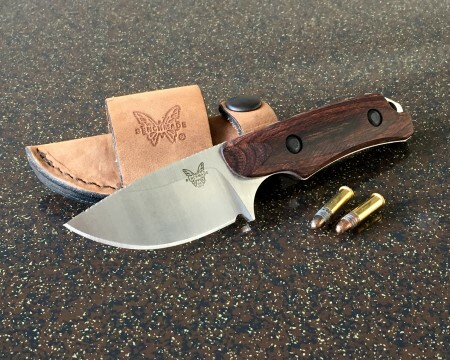 Benchmade 581 Osborne Barrage - The 581 is an upgraded version of the 580 with some premium features: The 3.6-inch blade is made from Bohler M390 steel, and the handle is G-10 scales with aluminum bolsters. 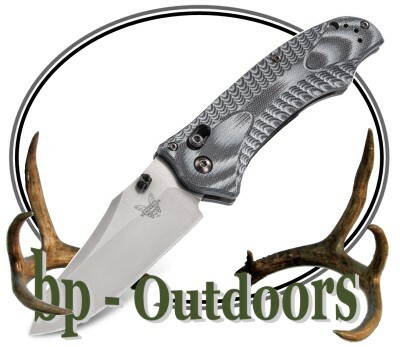 Benchmade 710 - The 710D2 version features a long but slender 3.9 inch drop point blade made with D2 stainless steel. 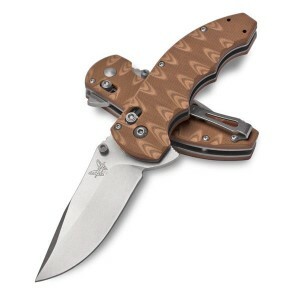 It has black G-10 handle scales, a reversible pocket clip, and ambidextrous thumb studs. Benchmade 15016-2 Hidden Canyon Hunter Fixed Blade Knife Leather Sheath. Benchmade knives are engineered cutting tools founded on function, built for performance and recognized for both.